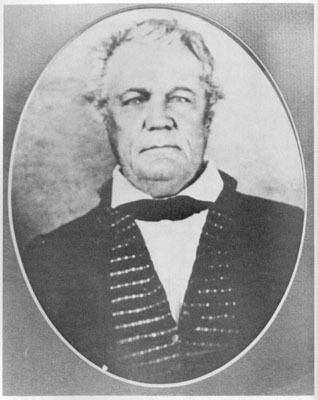 This is a portrait of the first superintendent of the Dahlonega Mint, Joseph James Singleton, who served from January 1837-April 1841. Source: Head, Sylvia Gailey and Elizabeth W. Etheridge. The Neighborhood Mint, Dahlonega in the Age of Jackson. Macon, GA: Mercer University Press, 1986, page xvi. There courtesy of the Dahlonega Court House Gold Museum.